Are you a fan of the Toronto Blue Jays? 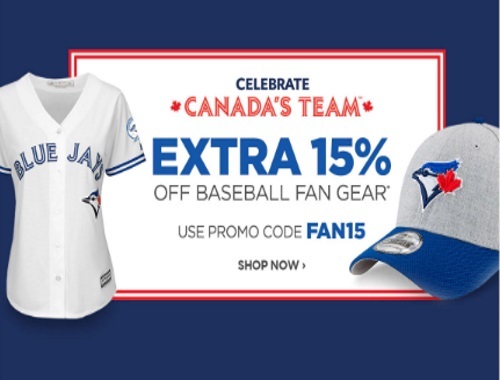 Celebrate Canada's team with an extra 15% off baseball fan gear! Enter the promo code FAN15 at checkout. Offer is valid until April 16 6:59am ET.